Column: Why Just Gibraltar At Conference? Why did just Gibraltar attend the Democratic Unionist Party [DUP] conference? No Bermuda…? DUP in a position to exert more influence on UK government- should they decide to do so. 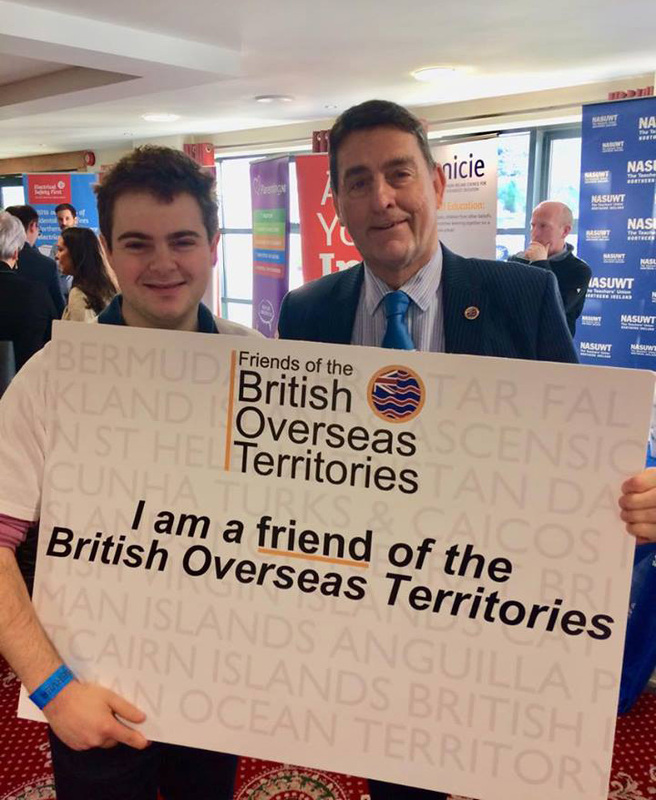 Gibraltar attends and stands up for its interests, British Overseas Territories and Crown Dependencies have limited abilities to promote their interests at party conferences. Could the Friends of the British Overseas Territories [FOTBOT] assist with this ? What are the positive aspects of DUP/Conservative agreement? The Democratic Unionist Party [DUP] conference was the sixth party conference I had attended this year, and finally the conference season is over until 2018. This was my second DUP conference, again held at the impressive La Mon Hotel and Country Club, on 24th and 25th November 2017. This hotel was actually the scene of one of the worst terrorist atrocities during the IRA troubles in Northern Ireland. The Provisional IRA carried out an horrific incendiary bomb attack which took place on 17th February, 1978. Twelve people were killed, effectively burnt alive and thirty people injured, many critically by this napalm laced bomb which tore through the hotel’s restaurant. The hotel, which is in Gransha, County Down, about six miles from Belfast, has since been rebuilt and expanded, but it is significant that the DUP hold their annual conference at this venue. The conference really started with a sell-out fund raising dinner and entertainment on the evening of Friday 24th November. What was perhaps a surprise was the fact that the Rt. Hon Damien Green, MP, First Secretary of State and Minister for the Cabinet Office, was the key guest speaker. He said it was the first time he had ever been a speaker at another political party’s conference and praised the confidence and supply agreement between the DUP and Conservatives, saying it was in the best interests of the United Kingdom. He was warmly applauded by the guests at the dinner, and he had pride of place, sitting with DUP leaders Arlene Foster and Nigel Dodds. This very much set the tone of the conference, the feeling that the DUP was in a position of real influence, having the balance of power in UK politics. This was in stark contrast to last year’s conference, which I attended because my sixth sense told me that the DUP could very soon be in a power broking position in the near future. That actually happened only some months later, following the General Election result when the DUP increased their MP’s by two to ten. The conference started formally on the Saturday morning with opening prayer devotions. Here there is a difference with the other political parties, which underplay any Christian views they may have. However, apart from this, there was very little obvious religious influence on the political agenda of the conference itself. The conference delegates were ably welcomed by Lord Morrow of Clogher Valley, the DUP Chairman, who is popular with the party members. These were all interesting and featured contributions from prominent DUP politicians. The subjects could all be applied to the fourteen British Overseas Territories and three British Crown Dependencies in different ways, and perhaps such debates should be more valued in them. It is not that unusual for both wives and husbands to be political representatives these days, and one of the examples with the DUP is Diane Dodds, who is an MEP, and her husband Nigel Dodds, who is an MP. Diane Dodds is a reminder of the number of formidable women DUP politicians there are, and her speech was very well received by the delegates. Prior to her speaking, the newly elected MP for Belfast South, Emma Little – Pengelly, spoke. Aged 36, a Queens University and Harvard educated Barrister, she is very much a rising star in the party. Interestingly, her husband is the Permanent Secretary at the Department of Health of Northern Ireland, so another example of a couple with mutual political interests. As if one senior Conservative MP at the conference was not enough, this was supplemented by another as a prime guest speaker. This time it was the Rt. Hon Julian Smith, MP, government Chief Whip, who extolled the virtues of the working agreement the Conservatives had with the DUP. He said his Whips’ office door was always open to DUP MP’s. He also received a very warm reception from the delegates. Both of the Conservative guest speakers made much of Jeremy Corbyn’s alleged sympathy with Sinn Fein and the IRA. If there was not that fear, if he made a clear distance from himself and the republicans, would the DUP be able to become closer to the Labour party, as they did back in in 1974? There is also the DUP commitment to strong UK Defence Forces, yet ironically the DUP may have felt more at home with Labour Shadow Foreign Secretary’s Emily Thornberry’s recent criticism of the government’s proposed Defence cuts, than in supporting them. It could be a question of watch this space, as the DUP have already exerted much behind the scenes influence on government policy, notably in the social sphere. It seems that the Government of Gibraltar have recognised the importance of the DUP , and although they did not attend last year’s conference, this year they had achieved both an Exhibition stand place as well as a prime slot in conference speaking agenda. Indeed the Deputy Chief Minister of Gibraltar, Dr Joseph Garcia, put across an excellent speech to a very receptive audience. Gibraltar deserve full marks for the efforts they go to defend their interests as they have attended five party political conferences this year. Their speeches have the same theme, but cleverly have a different emphasis, depending on which political party they are delivered to. Either Gibraltar has guile, gall, genius or a bit of all! Certainly artists of diplomacy, so all credit to them! Although it could be said that Gibraltar has most at risk with the Brexit negotiations, and thus their need to invest a great deal of money with attending these conferences, have they set an example to other British Territories in respect of how to look after their interests? However, Gibraltar are prepared to attend the SNP conference, something which is questionable bearing in mind they are separatists who want to break up the United Kingdom. In doing so they risk upsetting Spain because of the SNP’s ties with the Catalonian separatists, although they have sensibly avoided any controversy by saying Spain’s internal affairs are nothing to do with anyone else. In defence of Gibraltar, they have attended the party conferences of those who have a reasonable number of UK Parliament MP’s, and that includes the SNP currently. Gibraltar has generally gone for the full works, attending these conferences, holding receptions, having exhibition stands and making speeches. At the DUP conference, they hosted a lunch for the party leaders. The efforts of other British Territories, both Overseas and Crown, simply pales into insignificance in comparison. Gibraltar has set a high standard which is difficult to emulate, when costs and resources are also taken into account. That leads on to FOTBOT [Friends of the British Overseas Territories] and the role they could play with promoting the interests of the fourteen British Overseas Territories and the three Crown Dependencies. With the party political conferences and other events, FOTBOT could do more if all the jurisdictions gave some form of official backing and funding. FOTBOT is a registered charity and independent politically. It does allow for political views to be discussed, which is very appropriate when they affect the interests of the various territories concerned. However, FOTBOT does not speak for the individual territories, but does provide another platform for them to air their views. It seems logical for FOTBOT to receive funding from the Department for International Development to help promote the varying interests of the territories concerned, as well as from other bodies such as their own governments. Representation and promotion of the British territories could always be achieved at all the main party conferences by FOTBOT and it would not preclude territories doing their own thing as well. FOTBOT is therefore a new and under- utilised resource which should be considered. This option could also suit Gibraltar at some stage in the future when its status is no longer threatened. The final keynote speeches were by the Deputy Leader and the Leader. As Deputy Leader, the Rt. Hon Nigel Dodds, OBE, MP, summarised the difficulties of dealing with an inflexible, dogmatic and devious Sinn Fein, and hence the regrettable move towards direct rule in Northern Ireland. He referred to what the DUP had done for the whole of the UK, and not just the £1billion of new money for Northern Ireland. The triple lock had remained on UK pensions and the universal winter fuel allowance had been retained. He said that some had said that if the DUP had written the Conservative party election manifesto that they wouldn’t have needed the their votes at all. There would be many Conservatives who would agree with that, having not achieved the election success they needed. He said that through the Co-ordination Committee, the DUP would continue to ensure the government did the right thing for the whole of the UK. This is something the government should be concerned about and maybe the DUP would do themselves more favours with the wider UK public, if insisted on less austerity and no Defence cuts. Of course the key issue is the Brexit scenario, the key reason for the Tory/DUP agreement, and it is likely that there are limits on how far Theresa May will be able to go in financial offers to the EU. Indeed the tension is building up now regarding the Irish border, but the media should bear in mind that the DUP will not tolerate Northern Ireland having different border criteria to the rest of the UK. This brings us on to the closing speech of the Rt. Hon Arlene Foster, MLA, DUP Leader, which again demonstrated how formidable a politician she is. It only reminded me of previous times I have seen her speak, and I remember when she spoke at the DUP reception at the Conservative party conference, that a number of Conservatives wished she was their leader rather than Theresa May. On the EU negotiations, she said that the Prime Minister had assured her that there would be no internal barriers within the UK and the UK would leave the EU as it joined, as one United Kingdom. She said all those in Northern Ireland made up a society of people of exceptional nature, who have compassion, determination, pride and a sense of aspiration and ambition. She wanted to have a Northern Ireland which was a better place to live, to work, afford a home, raise a family and live lives to the full. She said the DUP is a people’s party which puts people first and serves them. She received rapturous applause for what she delivered and was joined on the platform by Nigel Dodds. The conference concluded with an enthusiastic singing of the national anthem with a plethora of Union and Ulster flag waving. It comes across as conference which is not afraid to show its patriotism, which is very laudable in these days of UK bashing. As a footnote, I should add that I had the pleasure of meeting many new people and contacts. I also renewed many from the previous DUP conference, and spoke to many. The friendliness of Northern Irish people has to be experienced to understand it. It was noticeable that at the Dinner event Nigel Dodds came up and thanked everyone on our table individually for attending. I was also able to chat with Arlene Foster again and she was quite happy to discuss issues with me, both during the conference and when a group of us were in the bar. It seems that there is a red line which the DUP will not want the UK government to step over in respect of financial offers to the EU, but she diplomatically avoided saying what it was! This is one of her plus points, being comfortable in dealing with questions in a respectful and intelligent way. She is a member of the Protestant Church of Ireland rather than the Presbyterian Free Church of Deputy leader Nigel Dodds. Her husband, Brian is a former policeman, and enjoys playing rugby. She is very down to earth and is apparently very at home in the informal surroundings of the rugby club. She has three children, two sons George  and Ben  and a daughter, Sarah . I did meet her daughter at the conference too, so it seems that politics runs in the family! My impression is that if the current government is dependent on Arlene Foster and the DUP for support, then it can only mean a better Brexit and a better social policy than would be the case otherwise. It is a shame that the other British Territories, Bermuda included, have such limited attendance at the party conferences compared with Gibraltar. 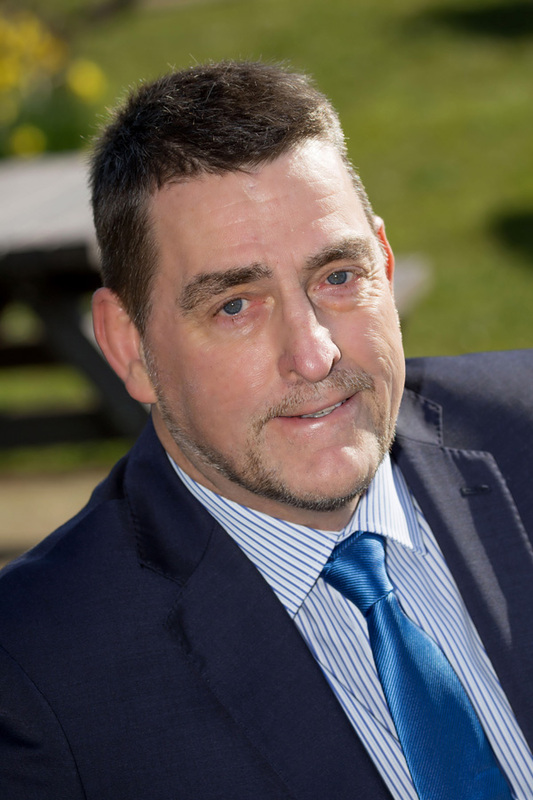 - Anthony D C Webber served as an elected Member of Guernsey’s Parliament for 13 years, and is now a Crown Dependencies’ and British Overseas Territories political analyst and commentator. Column: Should OTs Vote In UK Parliament?